We don't know all that much about what Nintendo's doing for the The Legend of Zelda: The Twilight Princess HD on the Wii U. 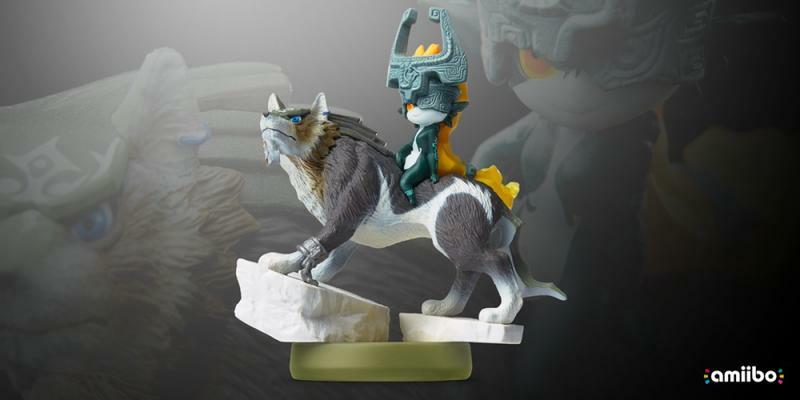 We know that it's getting HD graphics, of course, and that it ships with a Wolf Link and Midna amiibo. Thanks to an information leak by Amazon France, we might know a little bit more. It looks like the amiibo that ships with the game will unlock a brand new dungeon. NeoGAF user GhostTrick spotted and translated the Amazon.fr listing for Twilight Princess HD. Here's their translation. Unlock bonuses with "The Legend of Zelda" amiibos: Tap all the amiibos for the Zelda series to unlock bonuses in the game, such as regenerating your life, or getting arrows for your bow. The new Wolf Link amiibo even allows you to get into a new dungeon: "The Twilight Cave". The data recorded on this Amiibo can even be transfered to the next episode on Wii U. The Twilight Cave hopefully features the same dungeon quality that Twilight Princess was known for. Not to get on a soapbox here, but I felt that Skyward Sword's dungeons relied a bit too much on backtracking for difficulty padding. Less of that, please. We'll have more on The Legend of Zelda: Twilight Princess HD as we get it.